Get Paid To Do So!! 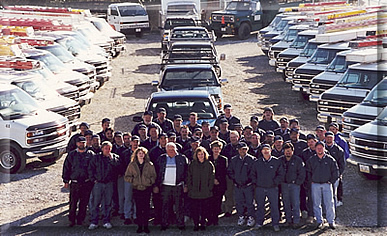 The staff of Stapleton Electric Co. welcomes you to our website. Within this site you will obtain a full scope of our business and the services we offer. Also within this site we have provided many methods of contact..from general questions to requesting a service call. Stapleton Electric was founded in 1966 by Joe Stapleton. Joe initially provided commercial and industrial electric power services to small to large sized businesses and over time began expanding into low voltage and data services. Joe Stapleton upon retiring passed on the business to his son Dave Stapleton and daughter Kathy Leopold. Together Dave and Kathy have carried on the same policies and with determination continued diversifying the company, as can be depicted on the Our Services page of this site. As always we look forward to hearing and working with you soon. Enjoy our site!